Some nights I wish I could record the things said around our dinner table. It really is one of my most favourite, albeit noisy, times of the day. Second only to when they are almost asleep and you sneak in to have that last kiss and hug. Yesterday Mignon tells me on the way home that they had to be separated in class because ‘Isabel spat on her head’. Isabel retaliated with ‘and then Mignon tore up my picture’. Spitting is a complete no-no, so as punishment there was no tuck shop money for them today (Tuesday’s their class-tuckshop day). I also mailed their teacher to let her know that they had told us and about the subsequent punishment. At dinner tonight, when we were doing our usual ‘Best/Worst part of your day’ thing, Isabel tells us, beaming with pride, that the teacher (bless her, I love her) made them get up in class and thanked them for telling their parents what they did yesterday. I’m sure there’s some kind of reverse psychology going on there, but Etienne and I giggled into our food. Next up, randomly, Mignon says that she can’t wait! Tomorrow ‘she’s getting Waterpokkies’. We were beyond baffled until they told us it was the title of a book they’ve been waiting to read. I love how into reading they are. All those nights of reading the same books over and over again are hopefully paying off. It’s such a beautiful thing to see all 3 of them so enamoured with reading. And Daniel? He talks up a storm with them. Today it was a tale about a run-in with the local chess-hero in chess class. They usually all talk at the same time and often about three things that are completely unrelated, it’s sometimes hard to keep up. But. It’s always, always entertaining. How did we get this lucky? I left feeling very nervous about whether Daniel was ready for Grade 1 or not and determined to find time (did you just fall off your chair laughing?) to tick those all-important milestones between now and January 2013. The broken arm has been a bit of a setback from a physical perspective and we are worried about his ball skills, so there’s lots of work to be done there. Last night we were all reading on the floor as we do every night (and by “we” I mean Etienne and I take turns) and Daniel was trying to read the words. He can make out some of the 3-letter-words already and is absolutely desperate to read the rest. It was like something has just clicked for him lately and he was very impatient about being read to. I was very happy for us to spend the time trying to spell out the words of The Three Little Pigs, but the Sussies were having none of it last night and kept rushing us. I felt quite sad about it as it was already quite late, but from now on one of us will read to the girls and the other will read with Daniel. This is a very big deal to us. I can still remember when I learnt to read, my whole life opened up before me and I have been a voracious reader all my life (Etienne more so, believe it or not). 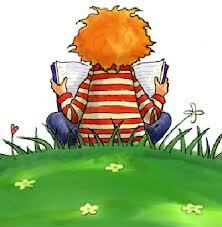 We have spent hours and hours reading to the kids, the same books over and over and over again. They each fall asleep clutching a book most nights. So, our children might not ever turn out to be Olympic athletes, but they might love words as much as we do. And that is more than enough for us. Can you still remember when you started reading? Any suggestions for easy Afrikaans readers for Daniel? Edit to add: I called Daniel’s teacher this afternoon asking about suggestions for books. There was a letter from her waiting when I got home asking for us to send Daniel for a language assessment with a Speech Therapist. Would it have been that hard for her to give me a heads up when we spoke earlier? I know it’s not about me, but isn’t it just a little cold to not say anything or bother to contact us? Or do I expect too much?